Today's star is beautiful redhead Ann-Margret. TCM is celebrating the career of Ann-Margret with 11 movies on Aug. 13. Here's what you need to know about one of old Hollywood's most talented singers and dancers. FYI: TCM sometimes changes the air times and /or movies, so you can go to www.tcm.com to check the updated schedule. Born: April 28, 1941, in Valsjobyn, Sweden. AKA: Ann-Margret dropped her last name of Olsson when she began her career. Academy Awards: She was nominated for best supporting actress for Carnal Knowledge (1971) and best actress for Tommy (1975). Brief bio: Ann-Margret and her parents left their small Swedish hometown for a better life in America when she was 6 years old. Her family settled in Chicago, and she began taking dance lessons in 1949. 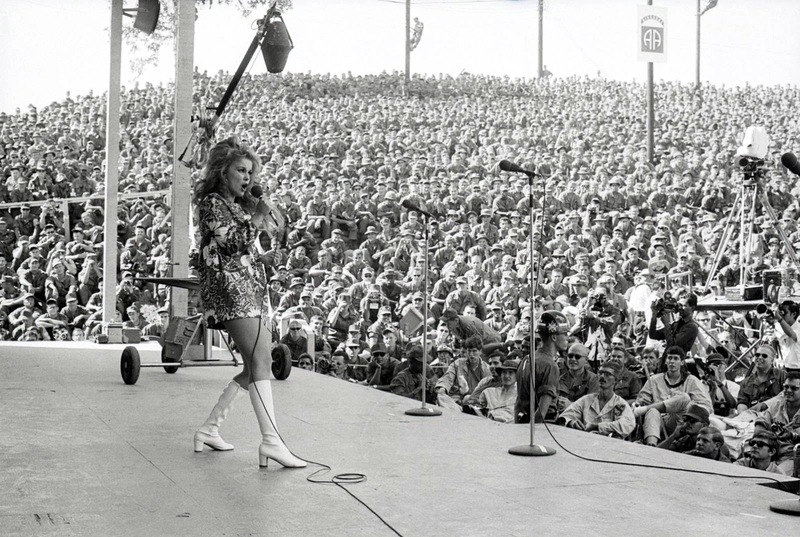 Ann-Margret appeared in local dance contests while still in high school, and she toured the country as part of a musical group after graduation. She got her big break when George Burns hired her to dance in his Las Vegas show. Ann-Margret soon landed a recording contract and a movie deal. She made her film debut in Frank Capra's A Pocketful of Miracles (1961), but she soon became a sensation thanks to roles in several musicals like Bye Bye Birdie (1963) and Viva Las Vegas (1964). Ann-Margret's career faded a bit in the late 1960's, but she made a comeback with critically acclaimed roles in Carnal Knowledge and Tommy. Ann-Margret is still acting: She has a recurring role on the Showtime series Ray Donovan and she has two films in pre-production. Fun fact: Elvis sent her a bouquet after each stage appearance. Signature role: Starry-eyed teenager Kim MacAfee in Bye Bye Birdie. 1. Bye Bye Birdie, airing at 8 p.m., is a great musical about an Elvis-like rock 'n' roll singer who invades the small town of Sweet Apple, Ohio. Ann-Margret has a star-making turn as a star struck teenager who falls for the charms of Conrad Birdie. 2. The Cincinnati Kid (1965), airing at 10 p.m., is something of a The Hustler rip-off about a talented, but troubled poker player (Steve McQueen), although it's still a great movie with an all-star cast that includes Edward G. Robinson as an old pro and Ann-Margret as the vampish Melba. 3. Viva Las Vegas, airing at 8:30 a.m., is the most fun out of all the Elvis movies, mostly because of the chemistry between Elvis and Ann-Margret. A great film not featured on Summer Under the Stars: State Fair (1962), which is a remake of the 1945 film, boasts a great Rodgers and Hammerstein score, location shooting at the Texas State Fair, and the combined talents of teen idols Pat Boone and Ann-Margret. 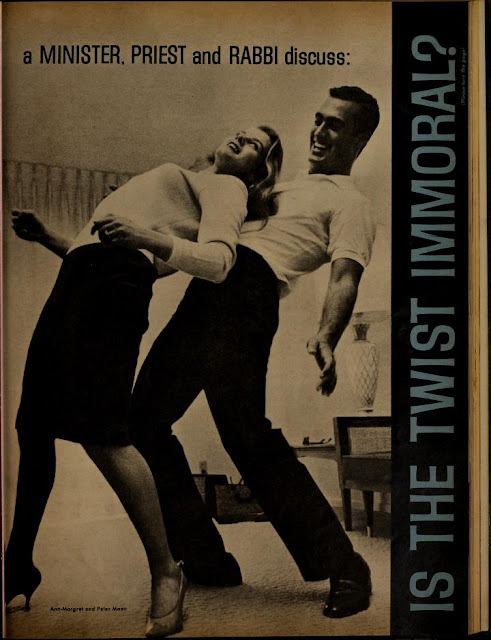 Fan Magazine Flashback: This 1962 TV Radio Mirror article contemplated "Is the Twist Immoral?" while also having Ann-Margret and Peter Mann demonstrate the dance. Courtesy of the Media History Digital Library. 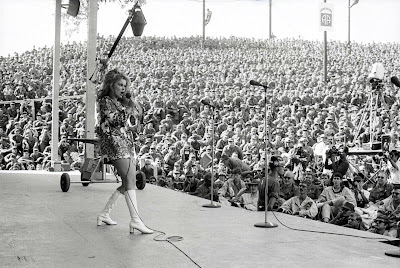 Old Hollywood video: Ann-Margret performs Bill Bailey for her State Fair screen test. You can see why she got the part. Old Hollywood GIF: Ann-Margret and company in Viva Las Vegas. Courtesy of giphy.com. For more Summer Under the Stars articles, go here. There'll be plenty more on Ann-Margret on social media. Follow me on Tumblr, Google+ or Pinterest or like us on Facebook. Follow us on Twitter @oldhollywood21.